If you're like me, you almost never go shopping for gifts. What could be a better present than a jar of jam, garden pickled vegetables, or a bottle of barrel aged cocktails? Well, this year, I'm on a huge homemade salsa kick (so, spoiler alert: if you're on my Christmas list, you may want to turn away now). Salsa is more than just summer tomatoes blended with spicy chili peppers for Cinco de Mayo. Get ready to get find your new favorite salsa with these classic (and not so traditional) homemade salsa recipes. They're so good, you'll need to hide them away so you don't eat them while you're looking for the wrapping paper! All you need for this garden fresh salsa is an abundance of tomatoes from the garden. Blend them together with fresh jalapeño peppers, red onions, and cilantro in the food processor. That fresh tomato flavor really shines through! If tomatoes are, unfortunately, out of season, you can certainly use canned tomatoes, but nothing tastes better than the fast, fresh taste of ones from the vine. Get the recipe here. This restaurant-style salsa is made with canned diced tomatoes with green chiles, so you can enjoy it all year-round. Keep it chunky and serve it up on nachos, or purée it a little further to make a smooth salsa that's easy to scoop with a chip. Nothing beats fresh tomato salsa, and you can always sub in fresh tomatoes for canned. However, we're not denying that canned makes it easier. Get the recipe here. 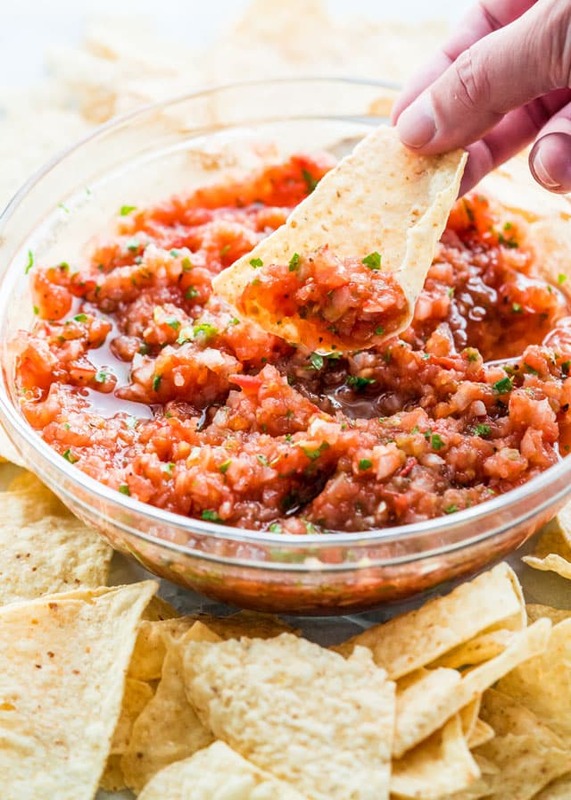 This salsa uses roasted tomatoes and onions to add a deeply sweet flavor to a traditional salsa. Add in some fresh cilantro and lime juice and you won't be able to stop yourself from double dipping! We're not telling you how to live your life, but roasted green pell peppers and roasted garlic cloves add nice touches, too. Get the recipe here. Want the taste of fresh homemade salsa but don't have the time to put it together? Enter the slow cooker! All you need is a few hours on the high setting and your salsa is ready to blend. Or, if you prefer to keep it chunky, simply stir it together. The vegetables will break down from a pico de gallo state to a chunkier soup state easily. Get the recipe here. Salsa doesn't have to be all about tomatoes. 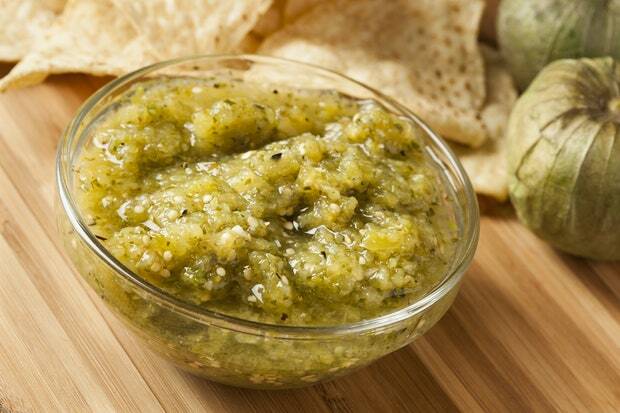 Roasting the tomatillos gives this salsa a deeply robust flavor with a light, acidic edge. It's perfect for dipping tortilla chips, but it also makes a nice topping for roasted chicken dishes. This is so good, you'll start putting it on all of your main dishes. Seriously. Get the recipe here. Apples in salsa? You bet! 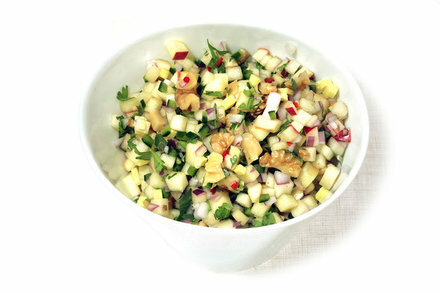 This great recipe combines the tart flavors of green apples with spicy poblano chile peppers and chopped walnuts. It's seriously snackable, but also makes an unforgettable roasted pork sandwich. My favorite thing about this recipe? It can be made with fresh ingredients in the middle of the summer, and canned ingredients in the winter. Either way, it tastes delicious and makes a colorful gift! Get the recipe here. This salsa is almost too pretty to eat (but it's so tasty, I always gobble it down in no time at all). This is the salsa to gift when you want some seriously Pinterest-worthy attention. This sweet salsa is perfect as an appetizer dish, but it also makes a great garnish for fish dishes. If you like the sweet and spicy combination, leave the seeds in the jalapeño before popping them in the blender. Get the recipe here. 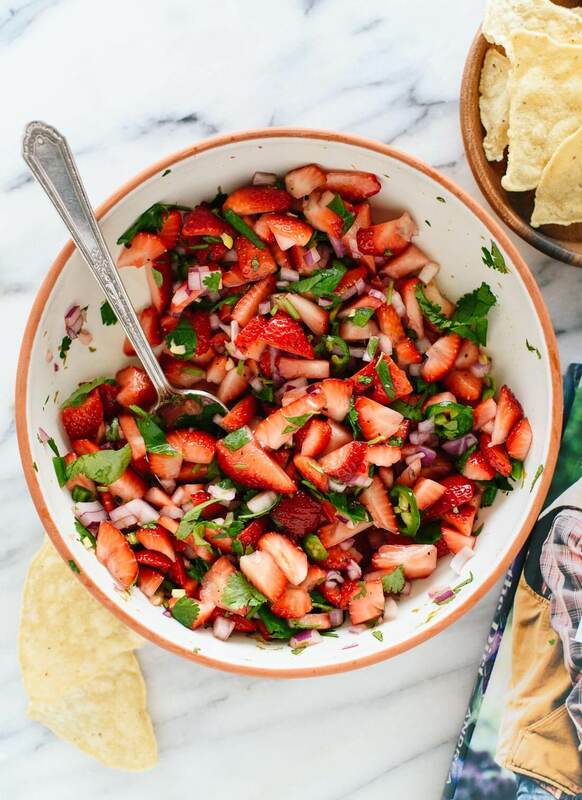 This fruity salsa combines everything you love about strawberries with black pepper, red onions, and lime juice. The next time I throw a dinner party, I'm putting this salsa on my bruschetta toasts! Get the recipe here. 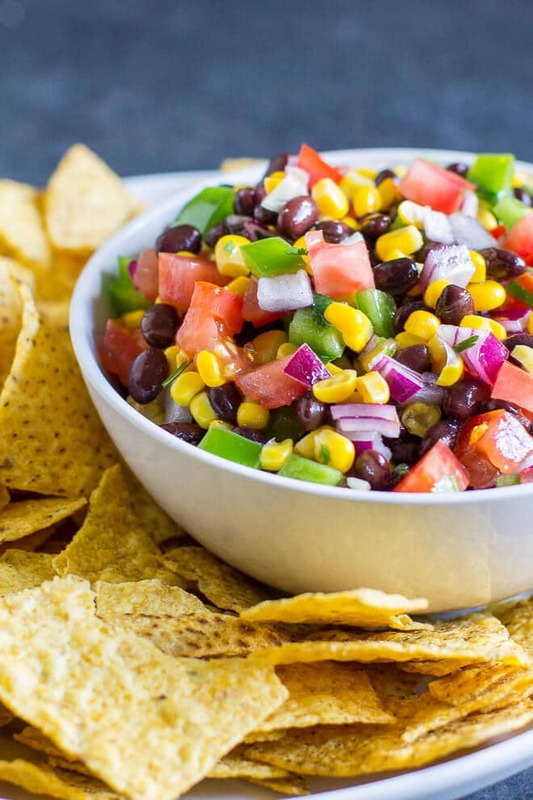 This classic bean salsa uses canned beans and fresh bell peppers to make an addictive salsa dip. 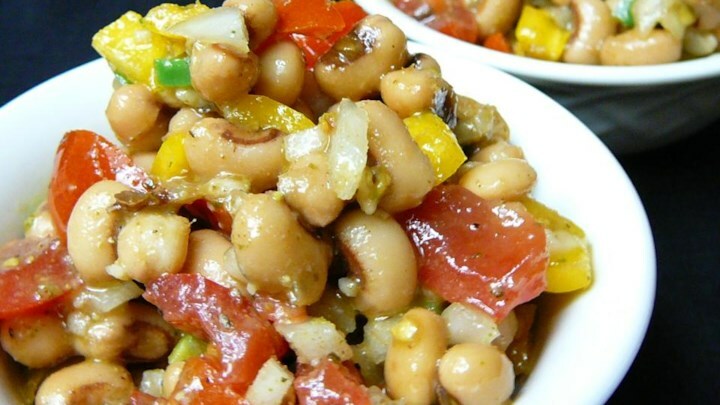 Some Texas Caviar recipes use pre-made Italian dressing, but we think it's worth it to whisk one together from scratch. 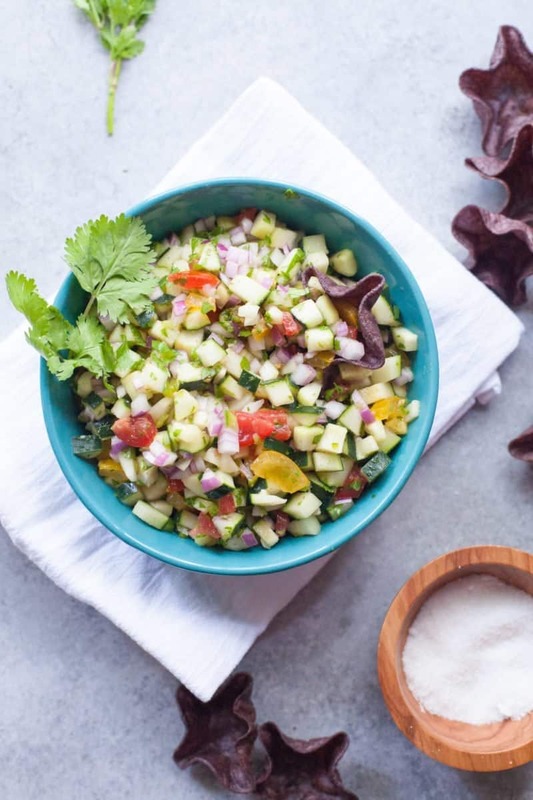 This cucumber salsa is so light and refreshing, you might find yourself eating it by the spoonful! Just make sure you save at least one spoonful for a gyros wrap.